Drop by the National Agents Alliance store at a Spring Forward to get your book and also check out other resources available to you such as delivery notices, Rx Cards, or show the plan brochures. Of course you can always order online at www.shopatnaa.com. To register for a Spring Forward event, go to www.keytotomorrow.com. This entry was posted in News & Events and tagged Andy Albright, Millionaire Maker Manual, National Agents Alliance, Spring Forward. Bookmark the permalink. The Wednesday Call Live (TWC) for April 4, 2012: In today's live show, Andy Albright gives training on making a list and explains calling warm market lists to best recruit with National Agents Alliance. The Live Show will air again on Wednesday, April 11th at 12:30 PM ET. 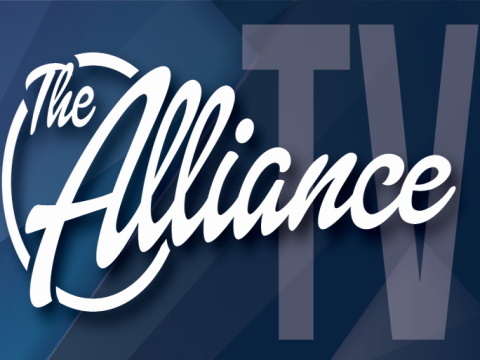 NAAtv Live brings TWC directly to you every week, but wouldn't it be awesome to join Andy LIVE here at National Agents Alliance Headquarters and actually be a part of the show? Get to HQ early and visit with ABTF, get the inside scoop from your President's Club liaisons, meet the Lead Performance Team - Maybe even shoot a round of pool after TWC! All you have to do is email, call or text Missy to reserve your seat at least one day in advance of the live show! It's that easy...Wait, you don't have her info? Just dial 336-227-3319 and ask for Missy! We hope to see you at the next Wednesday call -- Live and in person! The Wednesday Call Live (TWC) for February 29, 2012: In today's live show, the studio is bursting with star power! Andy Albright, Tim Goad, Alex Abuyuan and Chadwick and Melanie Ray. The Live Show will air again on March 7, 2012 at 12:30 PM ET. Andy Albright's newest book, Millionaire Maker Manual just arrived off the trucks into the NAA Store! Be sure to order yours today, before they all fly off the shelves. Inside are all the secrets that made Andy the millionaire he is today, and how you can meet him there too! Go to The NAA Store to order yours now!